We review the life and work of Frida Kahlo in a sixteen page feature with reviews on her latest show in London and Milan and an interview with the co-curator of the Victoria & Albert Show ‘Making herself Up’ Circe Henestrosa. Reviews from: Chicago, San Francisco, Toronto, Milan, New York, Virginia and Cornwall. I look in wonder at the photo of the cover of this edition of the New Art Examiner that is interestingly placed here beside the advertisement of Alexandra Brock’s Ecstacy and see a similarity between the two women. Both images are very powerful and have a very passionate connection. Could it possibly be one and the same woman? I recently saw the film “The Illusonist”, making me think about perceptions in art. Are our perceptions on an artwork influenced by the title of it, or is this totally irrelevant? The same concept could also apply to the title of an article. Is it that the New Art Examiner is satirizing the contents of an article by imposing a title, influencing our perception of the contents? Going a bit further, we can apply this to our perception of ecstasy. What is ecstasy, if not just an illusion? Rather than satirizing, the New Art Examiner is sanitizing. We are now faced with “Ecstasy” on the top of each and every page, but no article to compliment it, one of the most important personal moments in our lives and now immortalized in art. Couldn’t New Art Examiner have at least written a review of Alexandra Brock’s work first, instead of leaving us unsatisfied in this way? What about Ecstasy; why the choice of this powerful force as an ad, or is it rather a statement of the more recent views of the New Art Examiner? I am somewhat astounded. 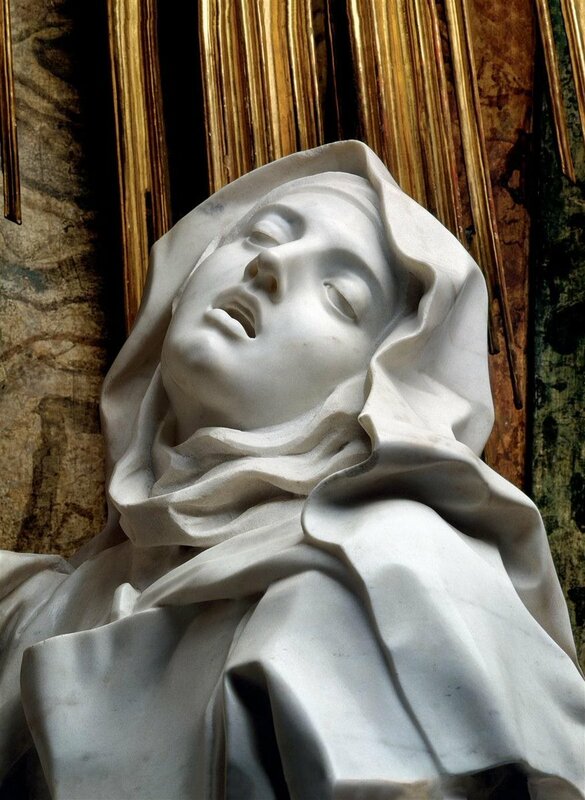 The work of Alexandra Rutsch Brock reminds me of Gianlorenzo Bernini’s sculpture of St. Teresa depicting ecstasy. 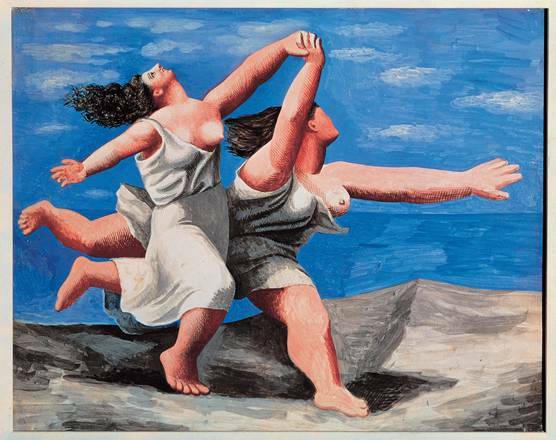 I much prefer Picasso’s interpretation of ecstasy with “Two Women Running on the Beach” here below. The Maenad dancers in ancient Greece showed their ecstasy as they worshiped Dionysus, as can be seen from this beautiful fragment of a vase. Dance together with music can be a very intense form of ecstasy. Studying the images here on ecstasy, I noticed that in all of them, and in other artworks not present here, that the women tilt their heads backwards in almost the same exact position. It’s as though they are looking towards the heavens.